Place sugar in a large bowl; blend in orange juice, honey, barbeque sauce, vinegar and lemon juice. Mix in pineapple juice, garlic and ginger. 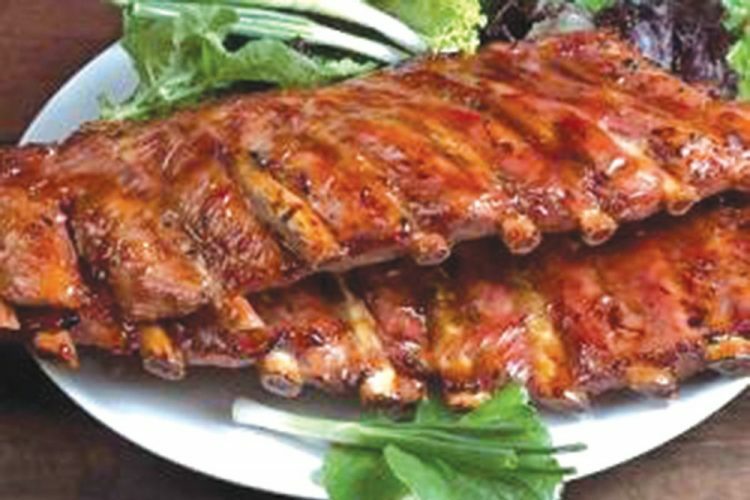 Place ribs in a shallow dish and pour marinade over and let sit 1-2 hrs, turning occasionally. Remove ribs and set marinade aside. Place ribs on a well-oiled grill and cook to desired brownness, brushing often with marinade and turning every 5 minutes until meat is cooked. Tips – If youâre not grilling, them put the ribs in a baking dish and place in the oven at the same temperature you will bake chicken and apply the same method until finished.